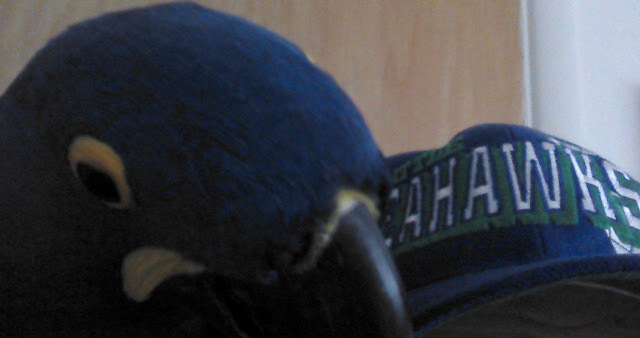 The Zen Parrot: Of Parrots, Politics, and Coffee: Are You Ready For Some Football? Are You Ready For Some Football? What is up with the Rio Olympics, anyway? We're still trying to wrap our head around the idea of holding Summer Olympics where it's Winter in Rio! It's been a long drought since February. 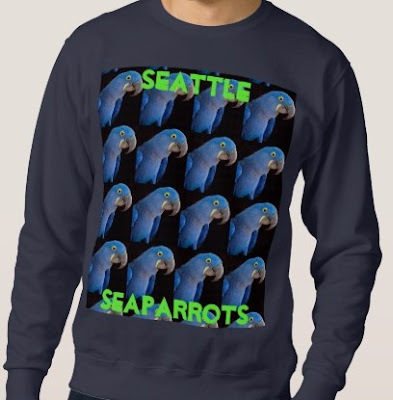 Our Seattle SeaParrots are super-excited to finally see some real NFL football on TV. Especially our SeaPrincess our Hyacinth macaw parrot Princess Tara. But heck, all of our parrots love the noise, action, and excitement of a football game.